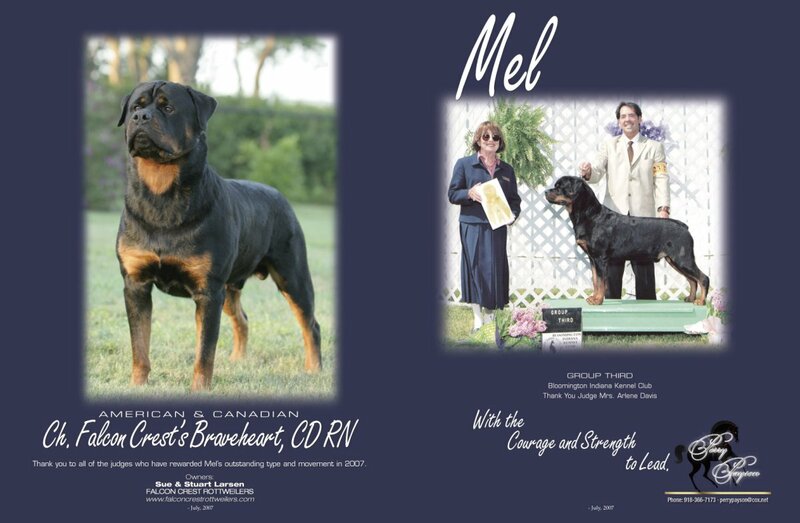 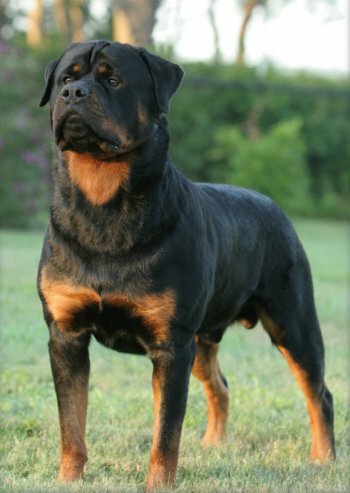 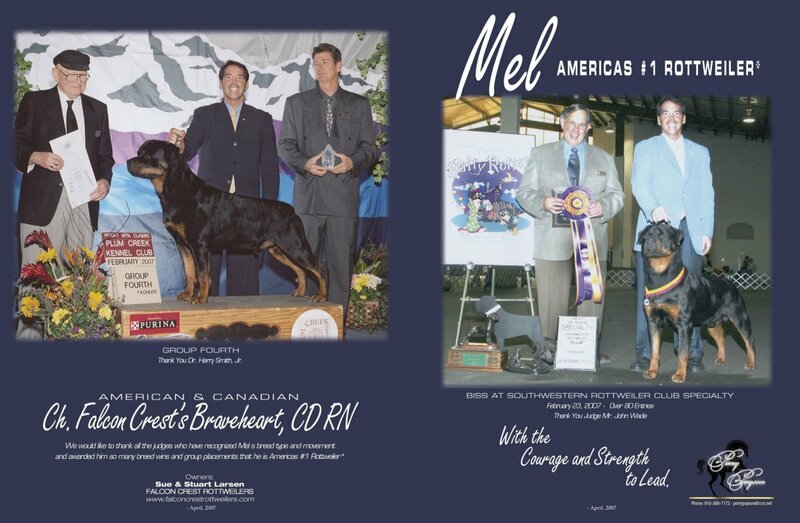 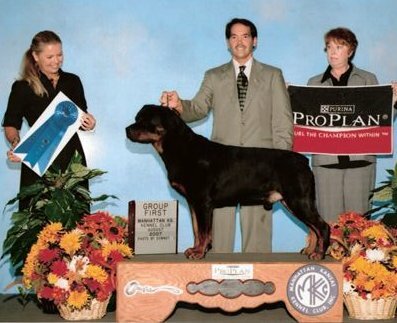 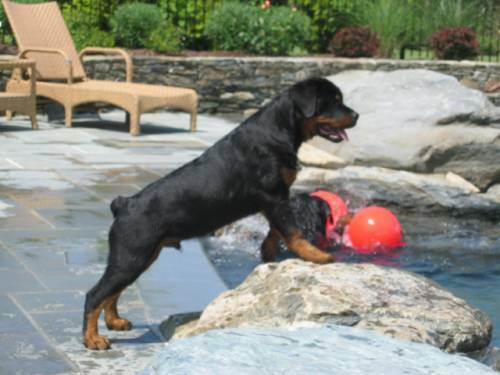 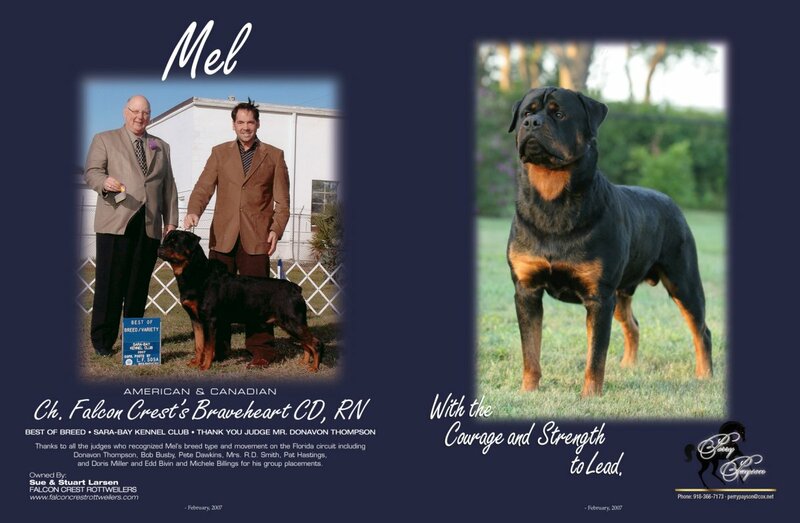 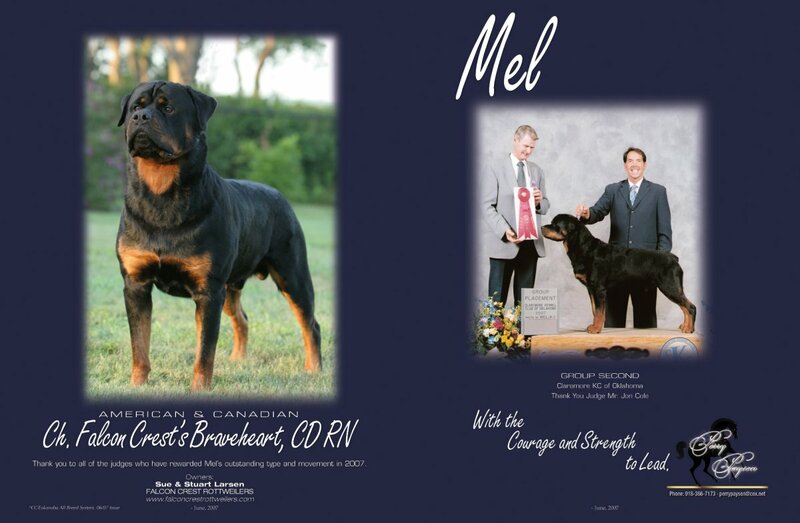 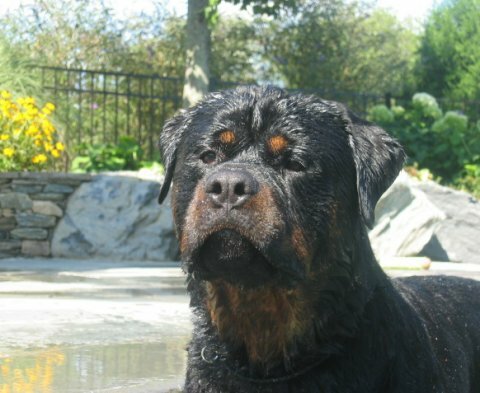 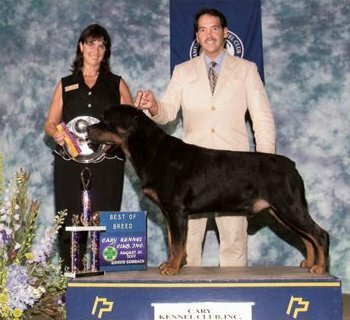 News... Mel finishes 2007 as the #1 Rottweiler in Breed Points!!!!! 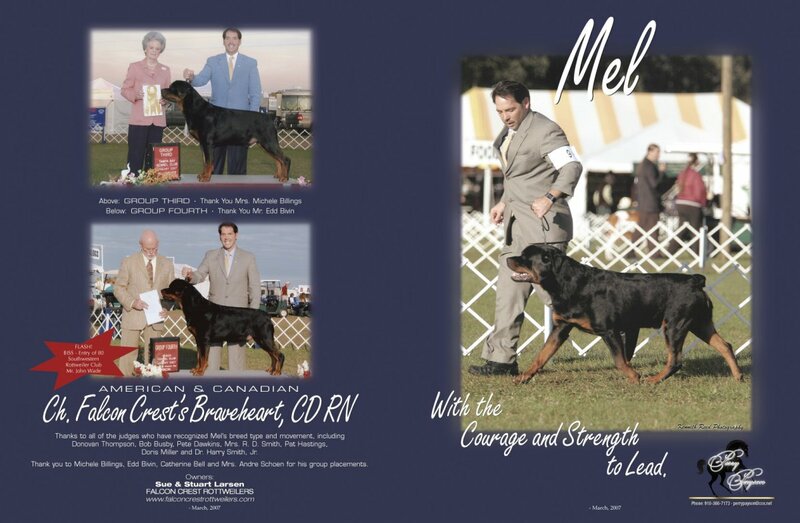 Mel winning the 2007 ARC Regional Specialty in Raleigh, North Carolina! 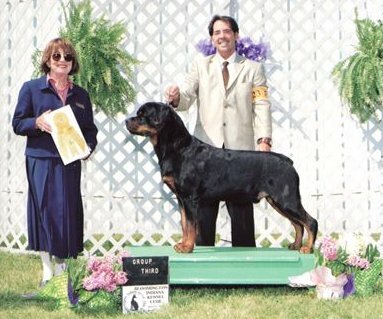 Mel winning the 2007 San Diego Specialty! 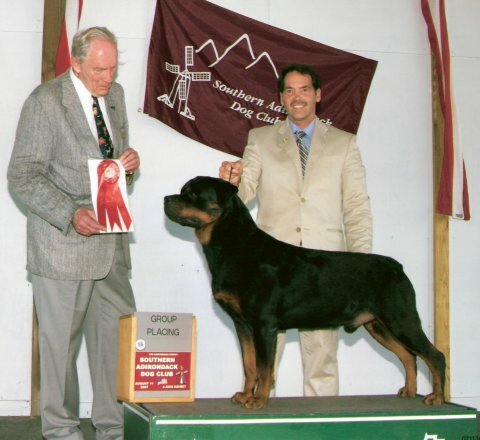 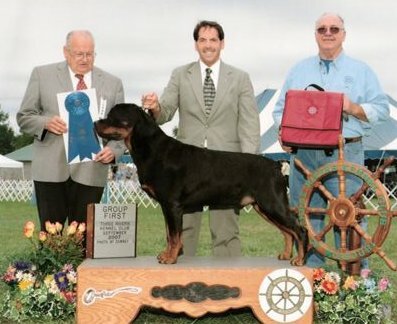 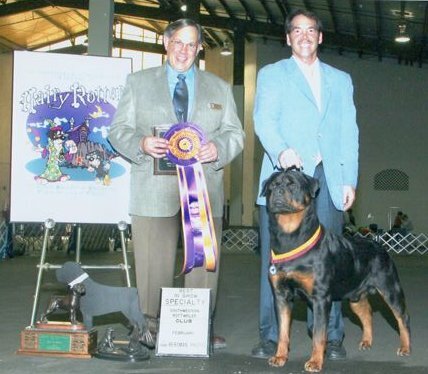 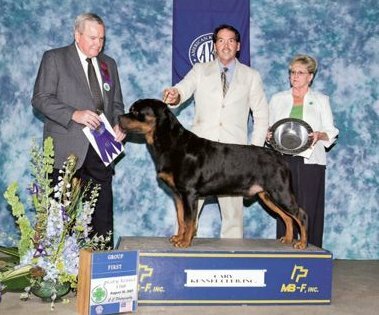 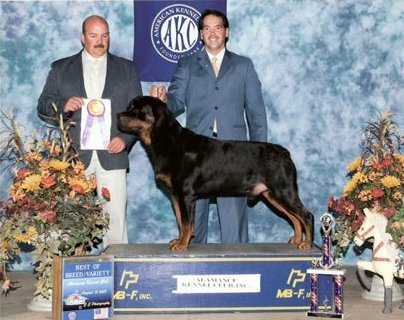 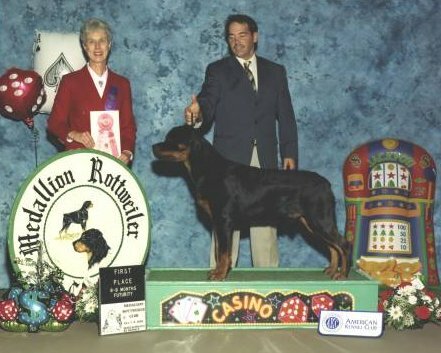 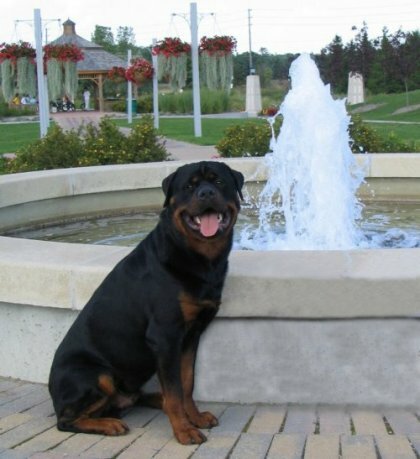 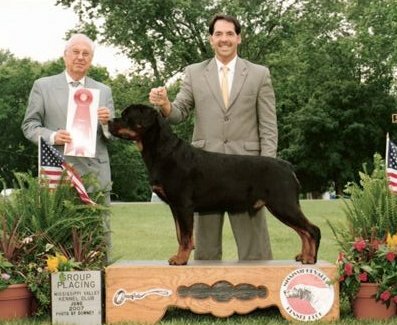 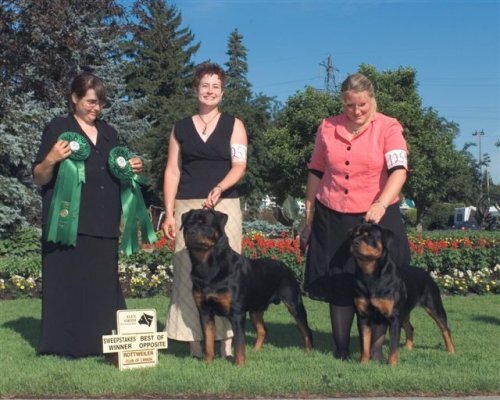 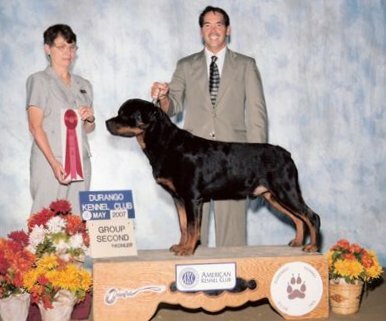 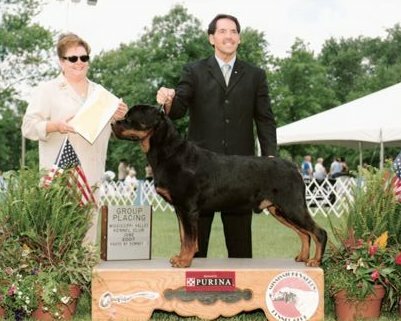 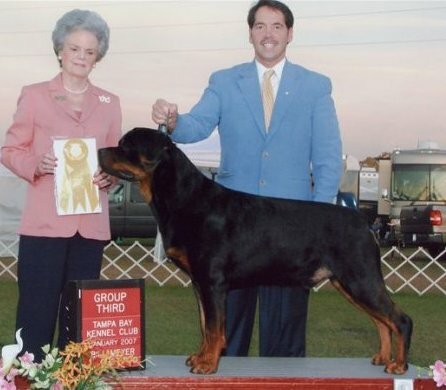 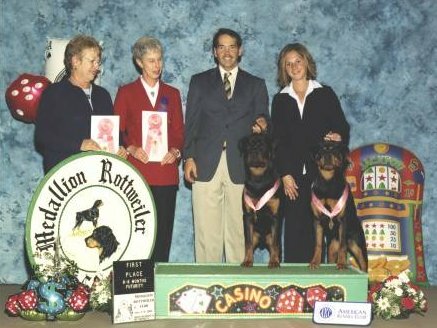 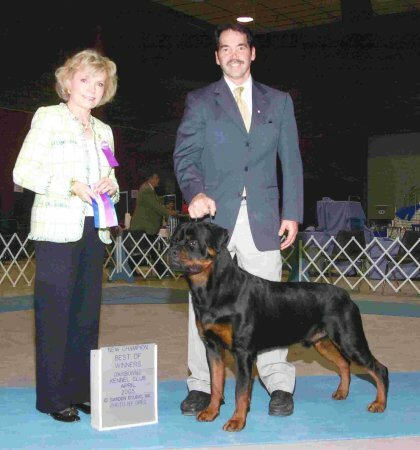 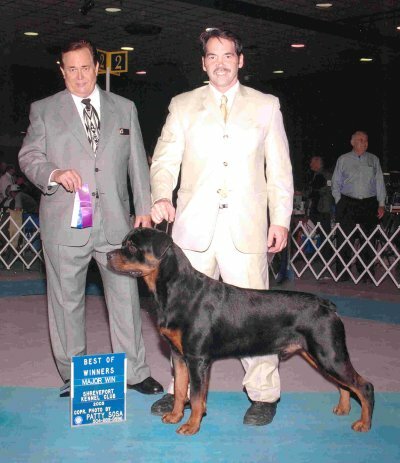 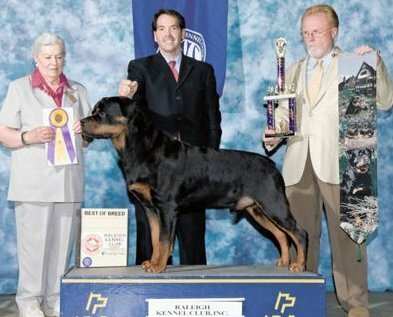 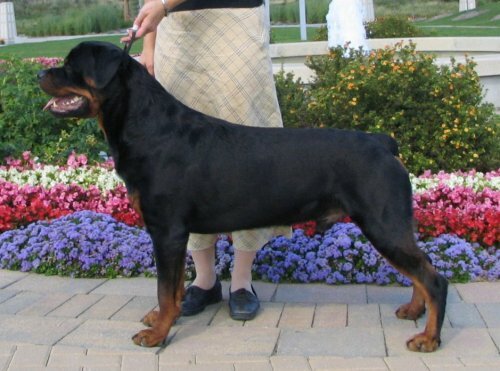 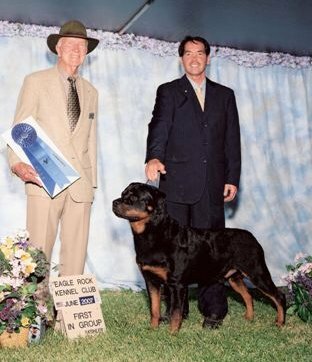 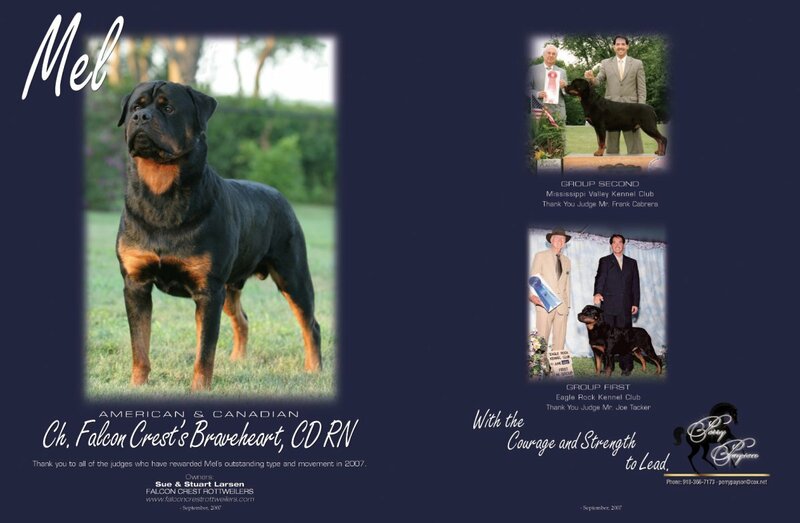 at the 2005 Rottweiler Club of Canada Western Ontario Specialty. 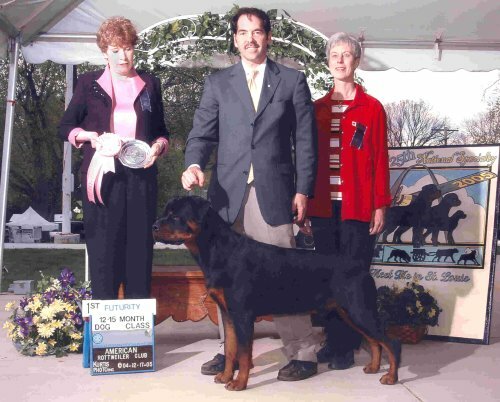 While in Canada, he also won the title of 2005 Canadian National Youth Sieger! 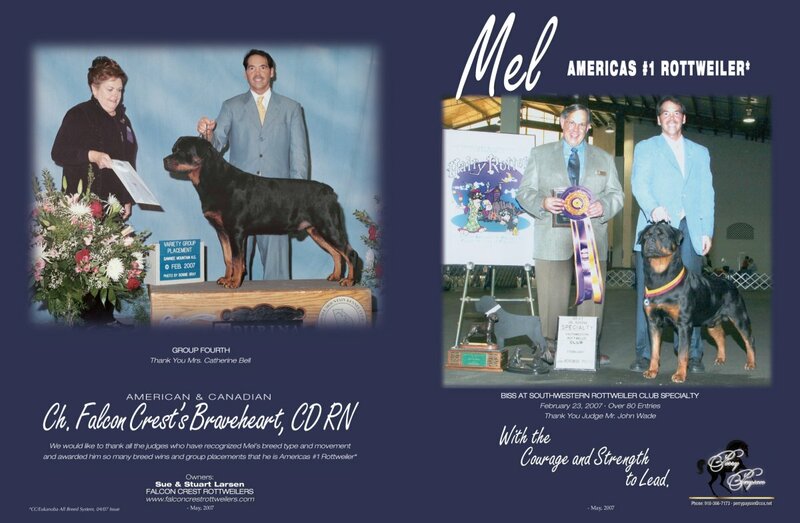 Mel finished his Championship with Four Majors by the age of Two. 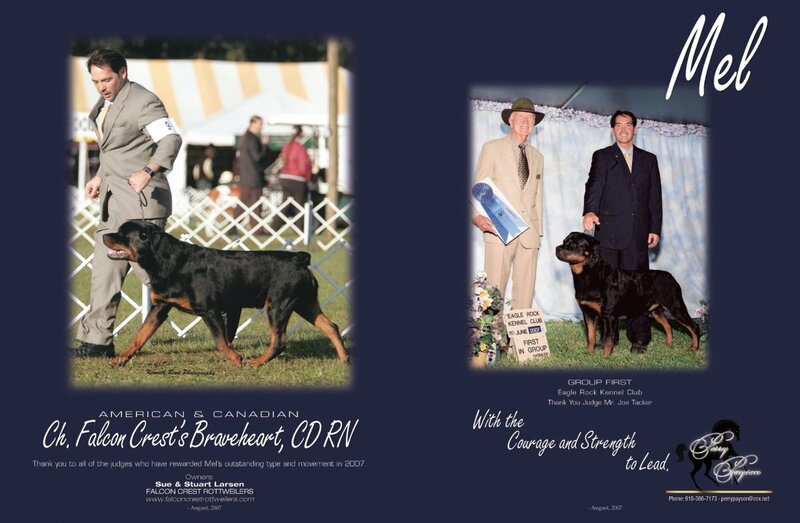 He also won 1st in the 12-15 Futurity and 3rd in 12-18 at the 2005 ARC National Specialty! 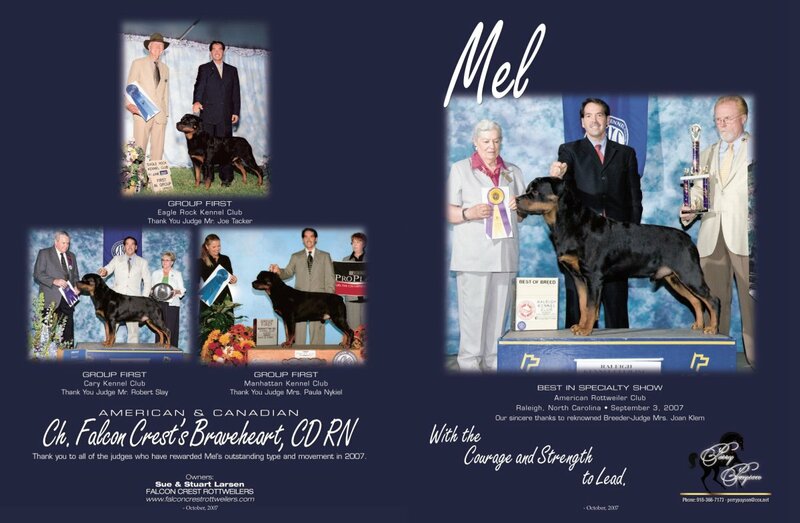 And, both Mel and sister, Bridget, were first in their MRC Futurity Classes as well!